The Pampeano Jefe Polo Belt is a smart leather belt featuring subtle shades of navy and brown and is favoured by those who don't want anything too loud in colour. 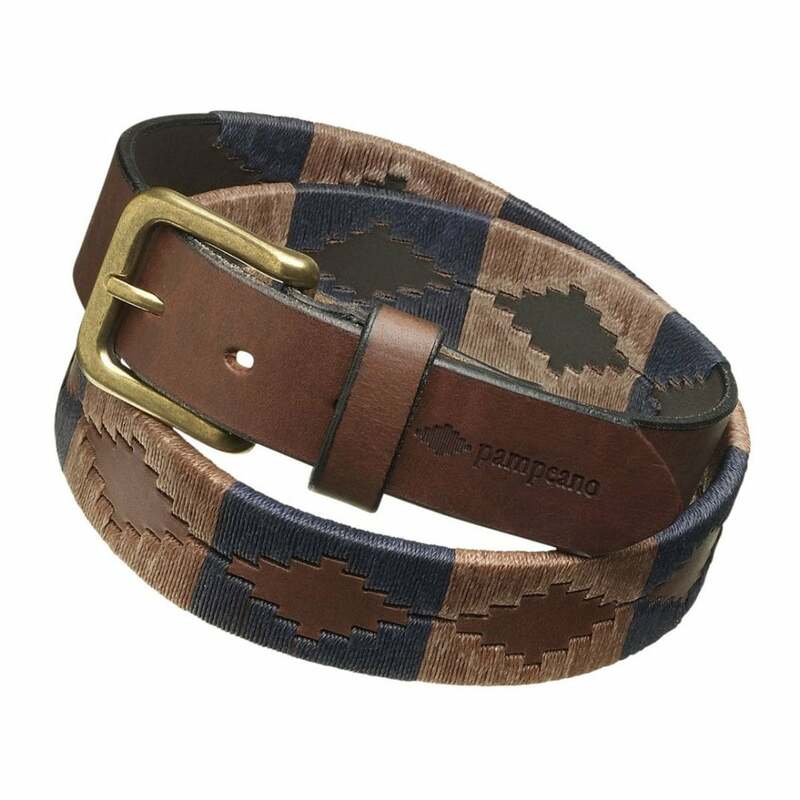 All Pampeano belts are made by hand in Argentina and take an average of five hours to make per belt. The high density waxed yarn is painstakingly looped around the A-grade vegetable tanned leather by skilled artisans into the stunning Pampa design.